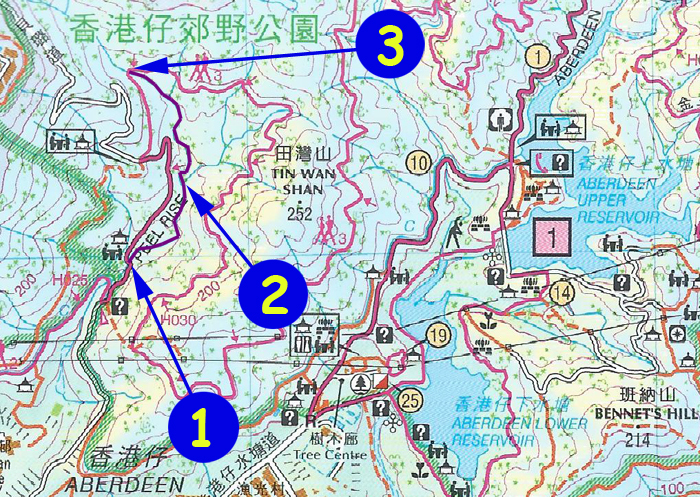 It is another very short stream on Hong Kong Island near Aberdeen Lower Reservoir. 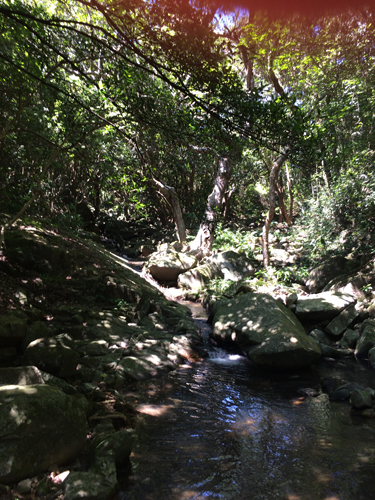 This stream has no ribbons for guidance. It has no major water pool and major cliff. 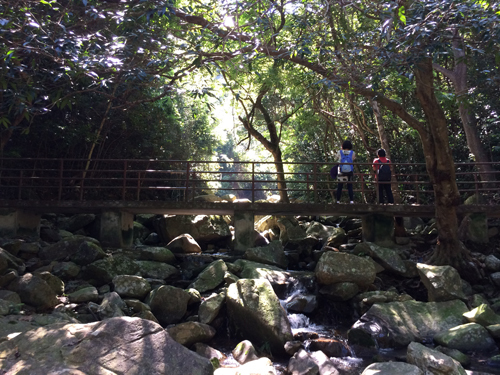 If you have stream trekking experience, it is not difficult at all. 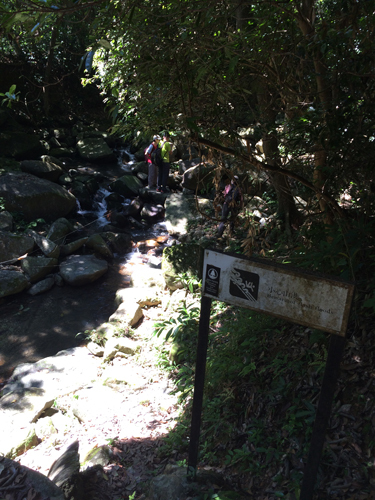 The entrance is on a major hiking path. This sign marks the entrance of this short trip. This stream looks like this all the way through. Very soon, you will see the exit bridge. The journey ended faster than we thought.